Jeremy Côté, a senior undergraduate student in the Department of Physics and Astronomy at Bishop’s University, is one of the few Canadians to be accepted to the Perimeter Scholars International Program, a “one-year master’s level course in theoretical physics designed to bring highly qualified and exceptionally motivated graduate students to the cutting edge of the field in an intense, interactive training environment.” This internationally-renowned institution is, according to Dr. Valerio Faraoni, Professor of Physics and Astronomy at Bishop’s University, “a dream that came true, a place of genius and inspiration. It is hard to imagine a better place to study, to do research and to be inspired and transformed for a young scientist interested in fundamental questions.” Admission to this program is a privilege that very few scholars get to enjoy; indeed, only 30 students are chosen among the hundreds of applications received yearly, and the institution receives applications from top young scholars around the world. Jeremy’s success is a testimony of his hard work and dedication throughout his undergraduate studies, and of the extraordinary department that supported and guided him throughout his undergraduate career. Careful mentoring on behalf of the members of this department (faculty and graduate students) gave Jeremy some insight into the doors that graduate studies would open for him: “One of the big factors for deciding to pursue graduate studies was the summer research that I got to do at Bishop’s,” Jeremy says. “I’ve worked as a research assistant for the past two summers (and will do so again this upcoming summer), and this work has allowed me to see the professional possibilities in physics.” For Jeremy, studying at the Perimeter Institute will be a unique opportunity because it will allow him to sample various fields of physics without having to specialize too early on in his career. As Dr. Faraoni notes, “the Perimeter Institute accelerates the process of creating the future of theoretical physics. Thanks to an unmatched vision, generous private and public support, clever and enthusiastic administration, and an outstanding board of directors and advisors, funding and other issues that are challenges in other institutions become forces to drive progress.” Jeremy’s studies at the Perimeter will be fully funded, including a personal stipend, and meals, accommodation, books, IT equipment and a travel supplement will be provided. With his Master of Science from the University of Waterloo in hand, Jeremy hopes to pursue a career that will allow him to indulge in his passion for education. 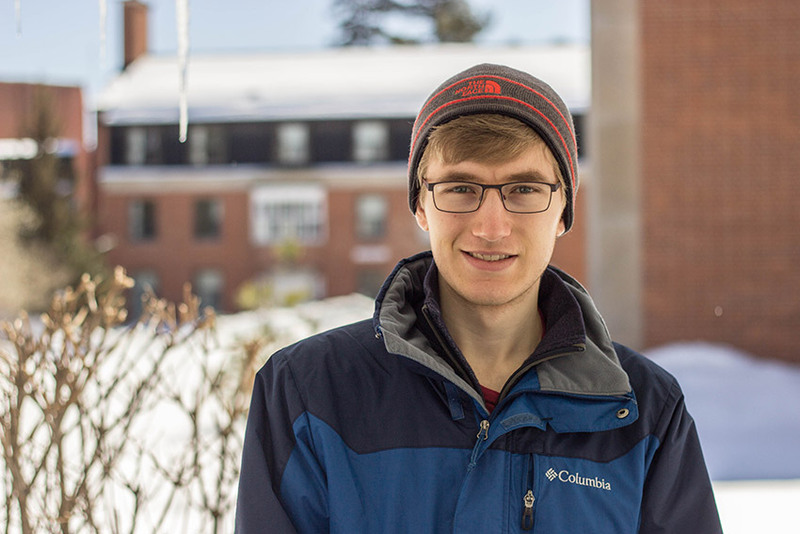 “I’m interested in solving new problems in physics in order to better our understanding of the world,” Jeremy notes, “and in helping others learn about physics and mathematics so that they can solve problems that captivate them.” The tremendous experiences and learning opportunities that await him in the coming year will surely allow him to achieve this goal!